The innovative Yellowbird ALERT has won LX Innovations Electronics Design House the Digital Home Award at the Electronics Future Awards 2010. 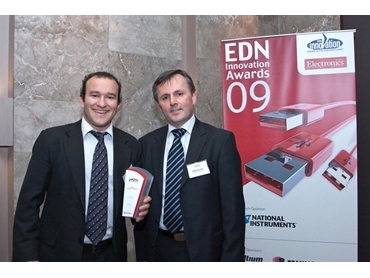 LX Innovations has won a major award at the Electronics Future Awards 2010 for the second year in a row. YellowBird ALERT system. YellowBird ALERT (Automatic Linking to Emergency Radio Transmissions) is an emergency alert system that warns of natural disasters such as bushfires or floods by utilising AM and FM radio transmissions. YellowBird logs onto a registered radio station and sits dormant until an alert is received. In the event of an emergency, authorities may decide to send an alert by creating a message and alert tone package, which transmits an immediate radio broadcast. If contact is lost with the registered radio station, Yellow Bird will notify the user and scan for alternative stations. Simon Blyth, Director of LX Innovations and his team see the win as great encouragement for their work. Mr Blyth was also pleased to be able to support an event that recognised and promoted electronics innovation. LX Innovations has previously won accolades with their innovative electronic products. WMD3000, a device that monitors a user's gym workout and provides feedback wirelessly won LX Innovations the Best Project award at the EDN Innovations Awards. LX was also placed first in Best Application of Test/Data Acquisition category and highly commended in the category of Best Application of RF Wireless Design. The Electronics News Future Awards, continuing the tradition founded by the EDN Innovation Awards recognises excellence in Australian and New Zealand electronics.